On the second day of the great conquest, the Prophet peace be upon him stood up and addressed the people in matters relating to the holy status of Makkah. After entertaining Allâh's praise, he proclaimed that Makkah was a holy land and would remain so till the Day of Judgement. No bloodshed was allowed therein. Should anyone take the liberty of fighting within Makkah on grounds derived from the events that characterized the conquest, he should remember that it had been a licence granted temporarily to the Prophet, and virtually does not go for others. Ibn 'Abbas ÑÖì Çááå ÚäåãÇ narrated: The Prophet Õáì Çááå Úáíå æ Óáã said: "Allâh has made Makkah, a sanctuary, so it was a sanctuary before me and will continue to be a sanctuary after me. It was made legal for me (i.e. I was allowed to fight in it) for a few hours of a day. It is not allowed to uproot its shrubs or to cut its trees, or to chase (or disturb) its game, or to pick up its fallen things except by a person who would announce that (what has found) publicly." Al-'Abbas said: "O Allâh's Messenger! Except the lemon grass (for it is used) by our goldsmiths and for our homes." The Prophet peace be upon him then said: "Except the lemon grass." In this context, out of the spirit of revenge, the tribesmen of Khuza'ah killed a man from Laith Tribe. Here the Prophet was indignant and ordered Khuza'ah to stop those pre-Islamic practices. He, moreover, gave the family of anyone killed the right to consider either of two options, blood-money or just retribution (the killer is killed). 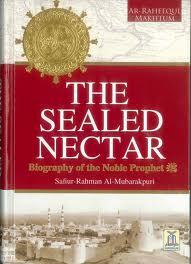 After having delivered his address, the Prophet peace be upon him rode to a small hill, Safa, not far from Al-Ka'bah. Turning his face towards the Sacred House, amidst a vast admiring and devotional multitude, he raised his hand in fervent prayer to Allâh. The citizens of Madinah who had gathered round him entertained fear, as Allâh had given him victory over his native city, he might choose to stay here. He insisted on explanation of their fear and so they spoke openly. He immediately dispelled their fears and assured them that he had lived with them and would die with them. Immediately after the great conquest, the Makkans came to realize that the only way to success lay in the avenue of Islam. They complied with the new realities and gathered to pledge fealty to the Prophet peace be upon him. The men came first pledging full obedience in all areas they can afford. Then came the women to follow the men's example. The Prophet peace be upon him with 'Umar bin Al-Khattab receiving the pledge of fealty and communicating to them for him. Hind bint 'Utbah, Abu Sufyan's wife, came in the trail of women disguised lest the Prophet peace be upon him should recognize and account for her, having chewed the liver of Hamzah, his uncle. The Prophet peace be upon him accepted their allegiance on condition that they associate none with Allâh, to which they immediately agreed. He added that they should not practise theft. Here Hind complained that her husband, Abu Sufyan, was tight-fisted. Her husband interrupted granting all his worldly possessions to her. The Prophet peace be upon him laughed and recognized the woman. She implored him to extend his pardon to her and efface all her previous sins. Some other conditions were appended including the prohibition of adultery, infanticide or forging falsehood. To all these orders, Hind replied positively swearing that she would not have come to take an oath of allegiance if she had had the least seed of disobedience to him. On returning home, she broke her idol admitting her delusion as regards stone-gods. The Messenger of Allâh peace be upon him stayed in Makkah for 19 days. 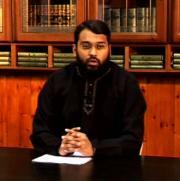 During that period he used to define the way to Islam, guide people to the orthodox path. 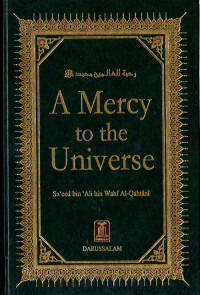 He ordered Abu Usaid Al-Khuza'i to restore the pillars of the Holy Sanctuary, sent missions to all quarters inviting them to adopt Islam and break down the graven images still lying in the vicinity of Makkah, and he did have all of them scrapped, inculcating in the believers' ears his words: "Whoever believes in Allâh and the Hereafter is supposed to scrap out the idols that should happen to be in his house."